Madison Week In Music + Ticket Giveaways (8.22.12 – 8.28.12): Dawes | True Endeavors Presents: music, tours, tickets, mp3 downloads, concert pictures, videos, Madison WI. This California-based indie group has a sound that Rolling Stone calls “authentically vintage, recalling the laid back tunes of artists like Jackson Browne and Neil Young. 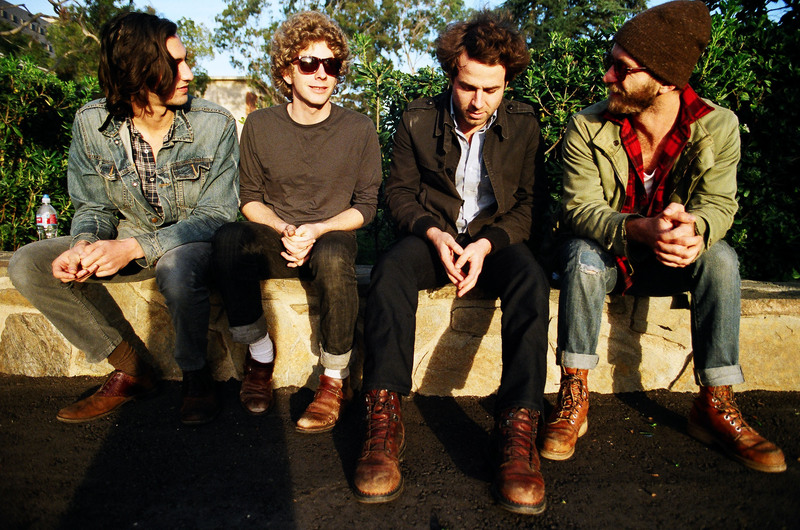 Dawes will be in Madison for a show at the High Noon Saloon this Wednesday (August 22, 2012), and we have a pair of tickets to give away to one of our lucky blog readers. Read on to enter to win! Win A Pair Of Tickets: Dawes’ Taylor Goldsmith is a member of the side project supergroup Middle Brother, which got us thinking about all the other great ones out there. Post a comment below naming your favorite musical side project or supergoup. Winners will be chosen and notified shortly after 8pm on Tuesday, August 21, 2012. Good luck! Do you want more chances to win? Find us on Facebook, sign up for the True Endeavors Newsletter, and follow us on Twitter. Atlas Sound is a favorite of mine, the one man show of Deerhunter lead singer Bradford Cox. This should be a great show! I hope we can hear a monsters of folk song when conor oberst comes to town next month! I would have to say Panda Bear (Animal Collective). Very much an experimental, yet throwback sound. Love it. I’d have to say the Traveling Wilbury’s were one of the best super groups ever… and Bob Dylan will be in town soon! So many to choose from Wilburys to the Highwaymen, but I’ll go with Crosby, Stills, Nash & Young. Monsters of Folk is an amazing supergroup… but my favorite would have to be The Postal Service. It’s a solo project more than a side project, but lately I’d have to say Colin Hay. Although it was only a one time thing I would have to say Questlove’s supergroup he put together at Bonnaroo this year. Containing D’Angelo, members from the Soulquarians, P-Funk, The Time, and of course The Roots. Didn’t make it but there is quality legal recording of the whole set floating around the web. Atlas Sound is by far my fave solo artist with a supergroup side project now, he’s amazing no doubt. But I must say looking back, I was insanely impressed by Sunset Rubdown(Wolf Parade). And seeing Spencer perform with a different crew at the Annex in ’08, then High Noon in ’09 was a true treat that really sealed the deal on my love for them. Probably has to be Ramona Falls….although it is now the main focus of Brent Knopf (formerly of Menomena). A new one is Divine Fits. Silver Jews! Yeah, you know it.. Ugly Casanova. Too big to fail. Damn! So many good responses to choose from! The winner for this one will be Nikita. Congratulations!